Along with many of my fellow wordsmiths, I was criss-crossing Scotland last week (19th to 25th November) to celebrate Book Week Scotland 2018, run by the Scottish Book Trust. The theme this year was ‘Rebel’. 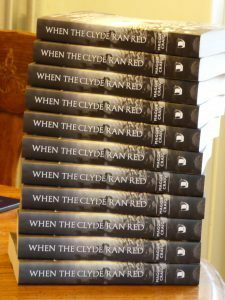 My first event was at the Brander Library in Huntly in Aberdeenshire, a lovely wood-panelled Victorian building, where the librarians had set out a very nice display of some of my books. 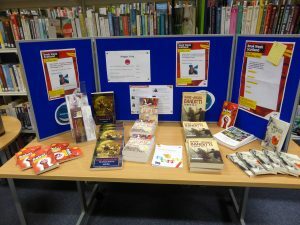 Huntly Library Display of Some of Maggie Craig’s books. Then I travelled south to the Forth Valley Sensory Centre in Camelon, Falkirk, to speak to a visually-impaired reading group. This group holds monthly sessions for anyone who enjoys audio books, whether they are visually impaired or not. 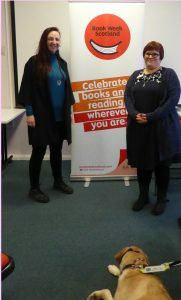 The picture below shows Vikki Ring (on the right) and Lynne James (on the left) of Falkirk Libraries, with Rosie the guide dog settling herself down for a snooze. 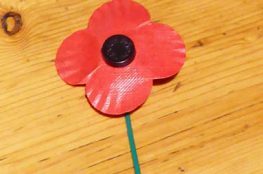 Lynne is the person to get in touch with for anyone interested in joining the audio book group, although it’s so popular there’s currently a waiting list. It was a dreich and rainy morning when I visited the Sensory Centre but I stepped into a bright and colourful modern building and found a very warm welcome. Forth Valley Sensory Centre, Camelon, Falkirk. 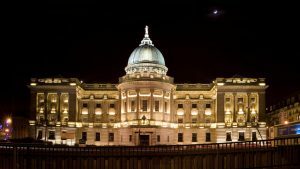 My next trip was to the Mitchell Library in Glasgow, my favourite building in the whole wide world and a box of delights in terms of the information there is in there. I wish they would build scholars’ studio flats so I could stay there for a week or two when I’m researching! 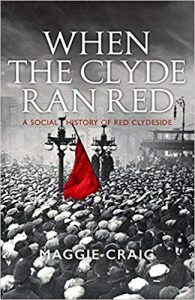 Following on from me talking about When the Clyde Ran Red: A Social History of Red Clydeside, we had a lively discussion that soon moved on to modern politics. 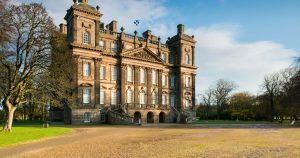 Finally, I spoke at another gorgeous building to the Friends of Duff House about one of my heroines, Henrietta Tayler. 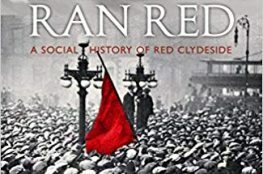 This wasn’t officially part of Book Week Scotland but it was the last of my personal very busy series of talks this year. Again, it was a very wet day but there was a good turnout and the welcome was warm. 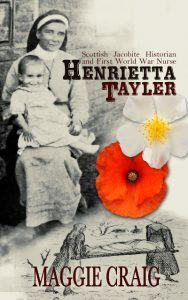 Henrietta Tayler was a a member of the Duff family and a remarkable woman. Here’s the cover of my short biography of her. Cover design by Cathy Helms of Avalon Graphics. 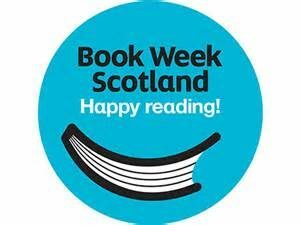 I was asked during BWS what I thought Book Week Scotland was all about. I answered that it’s about books and thinking. Having thought about it, I’d expand on that to say it’s about books, reading, thinking and meeting interesting people, who all have their own stories to tell. It was all great fun and very good for the little grey cells.